Providing valued information about your business and reasons you need business insurance. 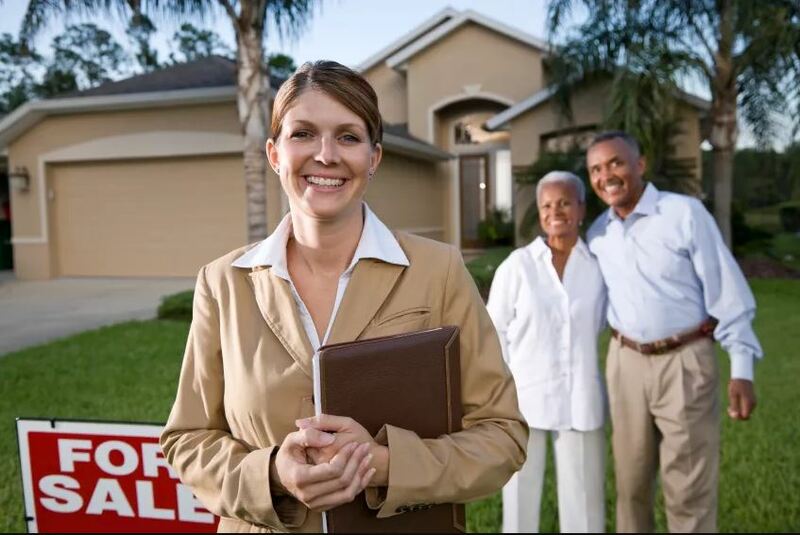 As licensed professionals, Real Estate Agents are responsible for arranging the buying and selling of real estate. Most often, Real Estate Agents’ income is solely commission-based, so their level of income is dependent on their ability to assist their clients and close transactions. Having both Professional and General Liability insurance as a professional in the real estate field is essential for your business to stay open and active. 1. After the close of a sale, the new homeowner says that you never disclosed the cost of the Homeowner’s Association dues and, as a result, claim that you misrepresented the cost of the home. 2. A client could accuse you of not showing them options in a particular neighborhood due to their race, religion, or gender, even if this is not true. 3. While visiting your office, a potential client could trip on a rug on the floor resulting in an injury. With the injury occurring in your office, you may be held liable for the cost of treatment. 4. During a showing of a home, your client could accidently bump into a vase and break it. A general liability policy may cover the cost of replacement. Claims, whether baseless or not, as well as accidents are common risks that Real Estate Agents face. Protect yourself and your business in advance. How Can I Prepare for a Tornado? Why Do Personal Trainers Need Insurance? Can I Purchase Commercial Insurance Online? Can't find your business? Contact Us! *You will be directed to a secure site for quoting. Powered by Combined Group Insurance Services. Policies are underwritten by Hiscox Inc. (doing business as Hiscox Insurance Agency in CA) on behalf of Hiscox Insurance Company Inc., a Chicago, IL insurer. Coverage may be bound, modified or extended only by Hiscox, which has the right to decline any application. Informational statements concerning insurance products are for general description purposes only and do not amend or modify any insurance policy. Proudly serving Houston, Lufkin, San Antonio, El Paso, Sherman, Longview, San Marcus, Granbury, Kingsville, Lubbock, Madisonville, Waco, Midland, Conroe, Nacogdoches, Corpus Christi, Palo Pinto, Weatherford, Tyler, Glen Rose, Abilene, Brownfield, Mount Pleasant, San Angelo, Del Rio, Canton, Huntsville, Laredo, Wichata Falls, Decatur and surrounding areas in Texas. Copyright © 2019 Business Insurance Quotes Agency. All Rights Reserved. You can browse our Web site without telling us who you are or revealing personal information about yourself. In this case our Web servers automatically collect and store: the name of the domain and host from which you access the Internet; the Internet protocol (IP) address of the computer you are using; the browser software you use and your operating system; the date and time you access our sites; and the Internet address of the site from which you linked directly to our sites. If you are browsing, a cookie or tracking mechanism may be used to help us measure the number of visits, time spent, pages viewed and other Web site statistics. If you decide to request information or a rate quotation, we may collect additional information in order to properly respond to your request. Cookies are small pieces of data stored by your internet browser on your computer’s hard drive. You may set your browser to notify you when you receive a cookie or to prevent cookies from being sent. Please note that when you block the acceptance of cookies you limit the functionality we can provide when you visit our site. Contact information from information and insurance quote forms is used to contact you when necessary. This data is necessary for the processing of, and future identification of, insurance quotes and confirmation of mailing addresses, and is used solely for those purposes. Unique identifiers (such as social security numbers) are collected from site visitors requesting insurance quotes solely for the processing of an insurance quote. This information is never given or sold to third parties for any purpose. The personal information you provide may be transmitted, used, stored and otherwise processed outside of the country where you submitted that information, including jurisdictions that may not have data privacy laws that provide equivalent protection to such laws in your home country. This site may contain links to other sites not affiliated with Business Insurance Quotes Agency and/or related subsidiaries or affiliates. Neither Business Insurance Quotes Agency nor any of its subsidiaries or affiliates shall be responsible for the privacy practices or the content of such non-affiliated linked web sites.